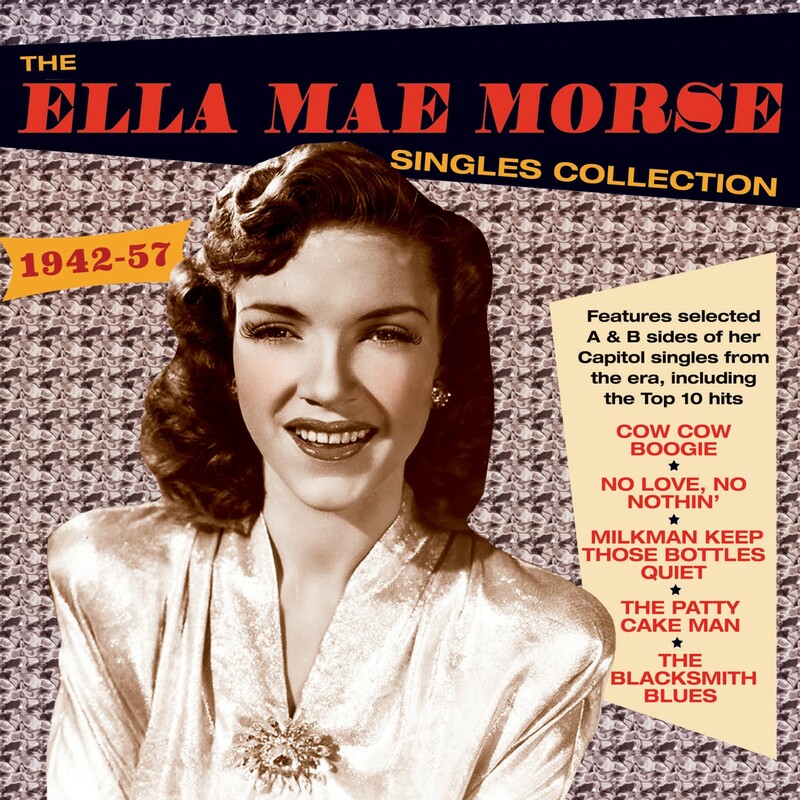 Ella Mae Morse was one of the first white female singers to successfully and credibly bridge the gap between pop and R&B during the 1940s and is often regarded as a key figure in the early development of rock 'n' roll during that era. She started out as a big bad singer with Jimmy Dorsey's orchestra in 1939 when she was just 14 years old, and in 1942 joined Freddie Slack's band, which had just signed to the fledgling Capitol label. Her first recording with Slack was "Cow-Cow Boogie" which was a Top 10 hit and Capitol's first million-seller. She signed a solo deal with Capitol and over the next decade had a string of pop and R&B hits including Top 10 successes with "Mister Five By Five", "Shoo Shoo Baby", "No Love, No Nothin'", "Milkman Keep Those Bottles Quiet", "The Patty Cake Man" and "The Blacksmith Blues", all of which are included here. 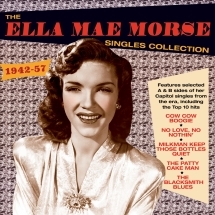 This great-value 54-track 2-CD set comprises selected A & B sides from the forty or so singles which she released before she gave up recording in 1957, working with noted producer/arrangers like Nelson Riddle, Billy May, Dave Cavanaugh and Les Baxter, so represents a substantial proportion of her recorded output. It provides an entertaining showcase for a versatile artist whose style encompassed elements of jazz, big band, R&B, gospel, boogie-woogie, blues and country, which enabling to appeal across the pop spectrum.